Home » What Does it Mean That the Supreme Court Asked for the Solicitor General’s View on the Arizona DACA Driver’s License Case? On June 26, 2017, the Supreme Court issued an invitation for the United States solicitor general to file a brief expressing the federal government’s view of our case Brewer v. Arizona Dream Act Coalition. Arizona requested the Court take up the case after an appeals court affirmed the state could not discriminate against DACA beneficiaries in issuing driver’s licenses. The Court in turn requested the view of the solicitor general. Though the request to the Solicitor General’s Office is not unusual, some were left wondering whether that held any implications for the DACA program overall. Who is the solicitor general and what does he do? The solicitor general is the Department of Justice’s officer responsible for representing the federal government of the United States before the Supreme Court. Additionally, the Court can ask for the solicitor general’s view through what is called a “Call for the Views of the Solicitor General” or a “CVSG.” The solicitor general then submits a legal brief to the Court in which he offers his opinions on whether the Court should hear the case. Jeffrey Wall is the current acting solicitor general. What is the process for CVSGs? The most common types of cases that receive CVSGs are cases implicating the interests of the federal government, cases with the potential to shape an important area of law, and cases involving complex regulatory or statutory schemes. Even though CVSGs are described as “invitations,” the Solicitor General’s Office views them as orders, and the solicitor general responds to every invitation it receives from the Supreme Court. During the 2016 term, the solicitor general filed 20 CVSG briefs, and in the 2015 term the solicitor general filed 15 briefs. Before drafting its brief, the Solicitor General’s Office frequently meets with counsel in the case to better understand the legal issues, litigation history, and record, and consults with interested departments and agencies in the federal government. How long will it take for the solicitor general to file a brief for Brewer v. Arizona Dream Act Coalition? The Supreme Court did not impose a filing deadline for the solicitor general’s brief in this case, and this is not surprising given the Court usually does not impose a deadline on the solicitor general. Therefore, we do not know exactly when the solicitor general will file his brief. A data set from 2001-2004 reveals that the solicitor general takes, on average, over four months to file the brief. We surveyed all CVSG briefs filed by the solicitor general between May 20, 2016, and May 23, 2017 (27 total) and found that the average filing time is still over four months. However, we note that the timing is unpredictable. For example, the shortest response time was just over two months, while the longest response time was over eight months. We also found that for invitations, like the one in Brewer v. ADAC, that were received in late spring or early summer, the solicitor general typically files the briefs between August and December. What are the different recommendations that the solicitor general can make? The two most common recommendations are for the Court to agree to hear the case (accept certiorari) or to decline to hear the case (deny certiorari). There are instances where the solicitor general has made other recommendations (for example, that the Court hold the case pending the outcome of a different case, or grant a recommendation to a companion case), but these are less common. From May 20, 2016, to May 23, 2017, the solicitor general recommended the Court deny certiorari in 17 instances (63 percent); accept certiorari in 9 instances (33.3 percent), and wait for the resolution of a related case in one instance (3.7 percent). These percentages are similar to the data from 2001-2004. 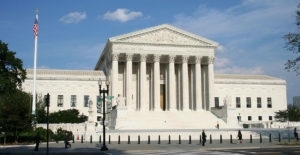 Does the Supreme Court typically follow the solicitor general’s recommendation? Yes, but only with respect to whether it hears the case. Out of the 27 CVSGs filed between May 20, 2016, and May 23, 2017, the Supreme Court followed the solicitor general’s recommendation in 23 cases (or 85 percent). This is consistent with the 2001-2004 study, which finds that the Court followed the recommendation of the solicitor general in 79.6 percent of the cases surveyed. 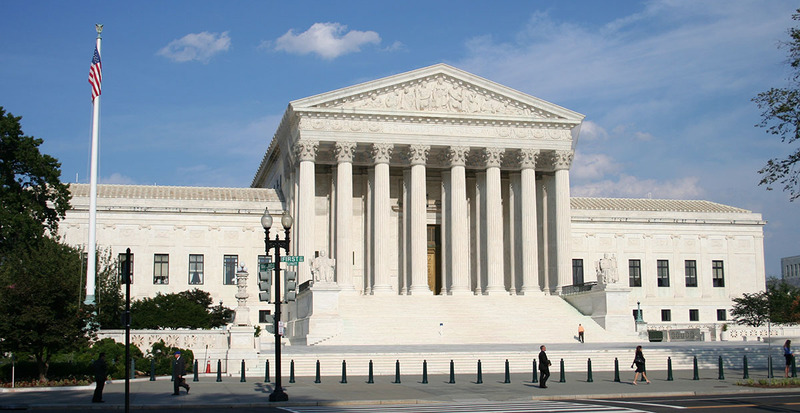 However, as discussed above, if the Supreme Court does take the case, there is not the same kind of strong connection between what the solicitor general recommends on how the Supreme Court should rule and what the Court actually ends up deciding. What happens next and what, if anything, does it mean for the DACA program overall? Once the solicitor general submits his brief, the Supreme Court will then decide whether to take the case. If the Court decides not to take the case, then the Ninth Circuit decision, permanently blocking Arizona’s DACA driver’s license ban, will remain the final word on the case. If the Court decides to take the case, the case will then move forward to be briefed, argued, and eventually decided by the Supreme Court. We do not know what position the solicitor general will take, if any, with regards to the continuing validity of the DACA program, especially since it is not a guarantee that this issue will be addressed by the Court in this case. However, it is ultimately the president who must affirm his support for DACA and the over 800,000 individuals and their communities who stand to lose so much if the program were eliminated. This entry was posted in Uncategorized on July 17, 2017 by Richard Irwin.